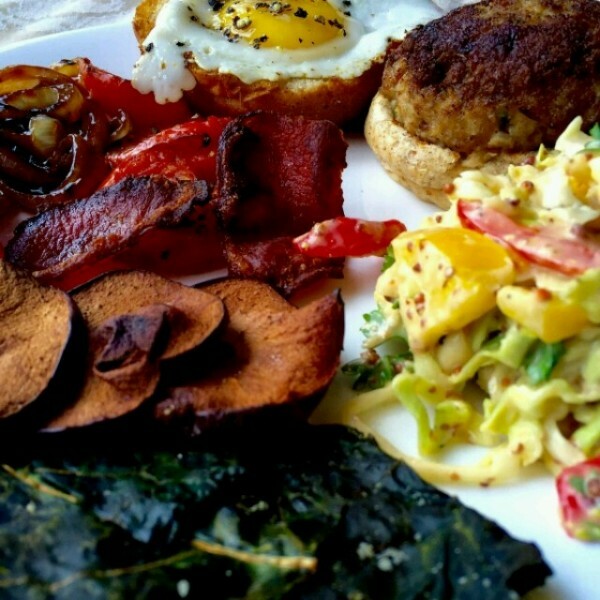 I succumbed…succumbed to the need of making my food healthier. Boiled potatoes are fine, but those gorgeous soft on the inside and crispy on the outside, thrice-cooked-potato chips no way…So when I cooked up this delicious cheese stuffed chicken burger (made with chicken that has been steeped in hot water to knock of the fat, yeah yeah the things I do to keep the fat away) I just had to make homemade baked crisps to go with it. My current obsession is kale. 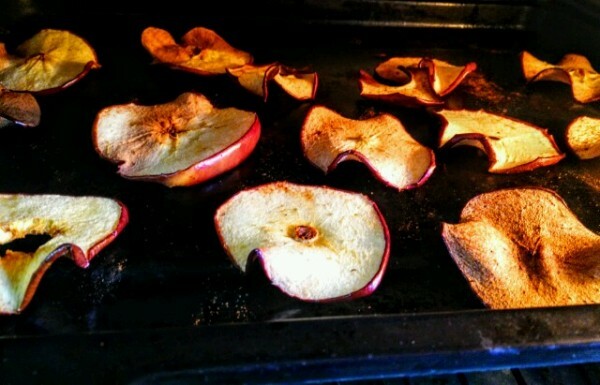 Just to be a bit extra fancy I decided to add apple and cinnamon crisps as a side too. Nothing over the top, but a great element to add to your party platters. What’s more you can serve the crisps with a yoghurt dip or even guacamole to spice up your appetizer platter! 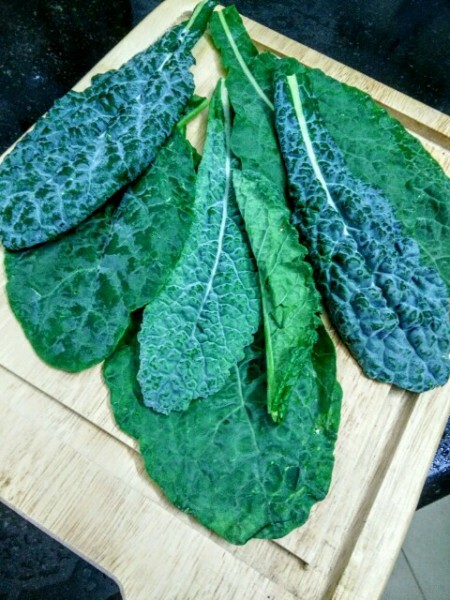 Nothing beats fresh kale leaves. Make sure to wash and dry the leaves before use. 2. Wash and dry the kale leaves. Carefully remove the thick stem and cut the leaves into bite size pieces. 3. Coat the leaves with a little olive oil and enough salt and pepper to taste. 4. 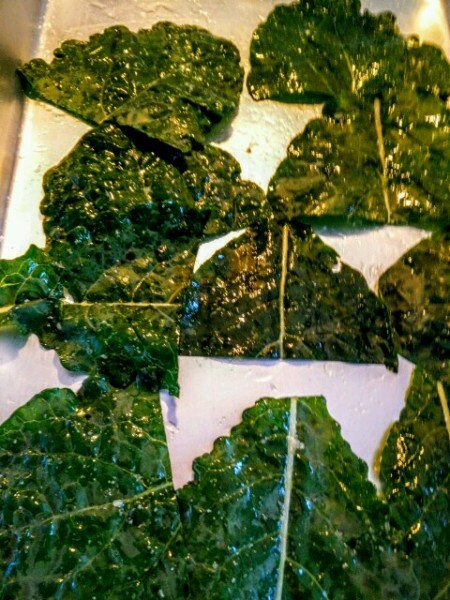 Bake the kale leaves for 15 minutes, till the ends of the leaves are brown but not burnt. 5. Remove and let cool for 2 to 3 minutes. 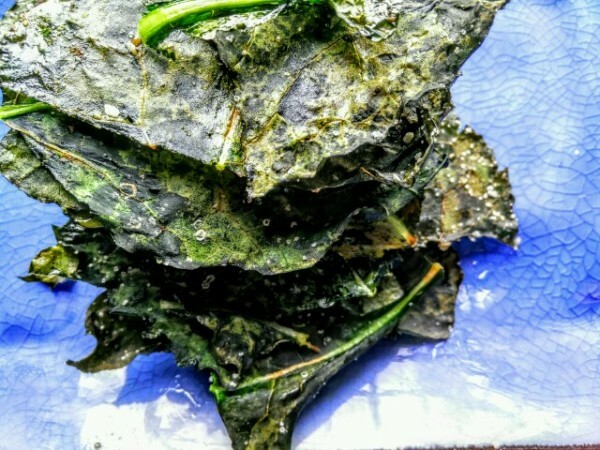 You kale crisps are ready. I wish you could hear the crackle! But try it at home, takes less than 30 minutes to do a bunch. 1. Heat the oven to 170 degree centigrade. 2. 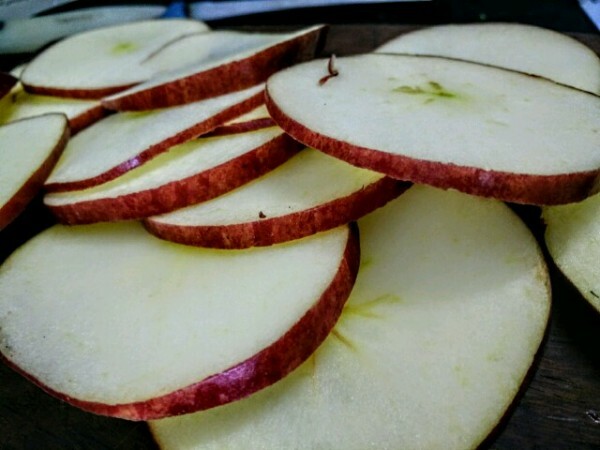 Core the apple if you wish or else slice it to 2mm thick slices. 3. Sprinkle finely ground cinnamon powder on each slice. And bake it for 20 minutes on one side, flip it and bake again for another 20 minutes. The apples are ready when they are light brown in colour. When the edges start turning up, you need to keep an eye on the apples. They burn really quick at this stage. 4. Remove and let cool. Store in an air tight container. NOTE: If your crisps go soft, place them in a hot oven for a minute or two before serving.